Ashley Ream’s engaging debut novel gives readers a fresh voice to the fiction world. On the darker side of women’s fiction, Clementine’s journey will remind readers how important it is to live life to the fullest, no matter what cards you were dealt. Clementine Pritchard has 30 days left to live. She needs to finish her latest painting. She needs to find new owners for her cat. She needs to pick out her plot and divide up her assets. She wants to find her father — the man that left her and her family when she was a child. Clementine’s 30-days-to-death journey takes her to unexpected places: south of the border to buy illegal tranquilizers, and to the Midwest to finally meet the man she once called Dad. Along the way, she lands in bed with her ex-husband, tries to bury the hatchet with a frienemy, and still tries coming to grips with the deaths of her mother and sister. An unexpected twist at the end that not even Clementine sees coming will leave her wondering if she is losing herself… or finding herself. 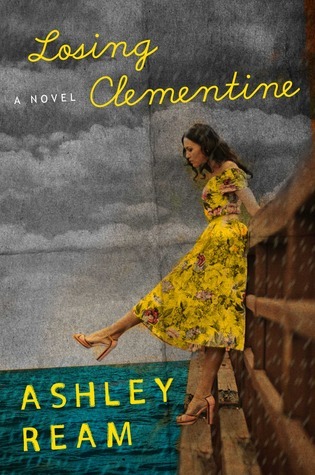 Losing Clementine is a bold debut from Ashley Ream that will tangle readers into the heroine’s story and make them feel for Clementine. There are so many layers to find and unpeel, and the ending will leave you curious for more of her story. Clementine is such a flawed character, but one that is unique and strong enough to carry the novel. There are minor characters, but the story is mainly focused on Clementine and her 30 days. This is a dark story that covers the sensitive topics of mental instability and suicide, but Ream writes with a light-hearted hand so the book doesn’t get overly heavy and drag down the story line. Ashley Ream definitely proves herself as one to watch with her impressive debut.